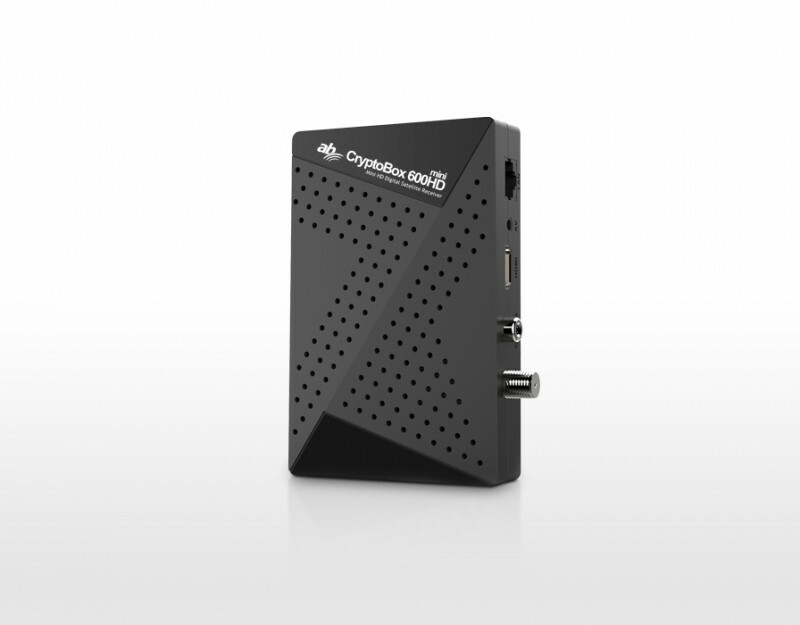 HIGHLY RECOMMENDED FULL HD 1080P 12V MINI DIGITAL SATELLITE RECEIVER! The CryptoBox 600HD mini from AB-COM comes highly recommended by Pulsat. The 600HD Combo is a powerful miniature 12V FULL HD 1080P PVR ready digital satellite receiver with clean and easy to use menus and a whole host of superb features. It's compact size allows it to be mounted behind the TV and comes complete with a remote IR eye showing channel number which can be mounted to the front of the TV for channel changing and tuning. 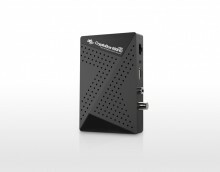 There is a built-in card reader for Pay-TV, hardware blind search and built-in media player. The embedded card reader is compatible with the majority of simple encryption systems including Viaccess, Conax and Irdeto, making the 600HD mini a good contender for use with many of the viewing cards found on our site. When ordering the above you will receive a matching hard drive enclosure specially prepared to work with this and other satellite receivers. Fast AV hard drive ideal for SD and HD recordings, formatted and tested. Delighted to receive box within 18hrs of order. Well done Pulsat and delivery service. Many thanks for superb service. Click the button below to add the AB CryptoBox 600HD mini 12V Digital Satellite Receiver to your wish list.